HSBC has claimed a world first using blockchain, while a group of Canadian partners have broken new ground for digital payments. Financial institutions and technology firms worldwide are working hard to beat their peers on reaching new milestones for digital solutions which have potential to revolutionize the financial services industry. 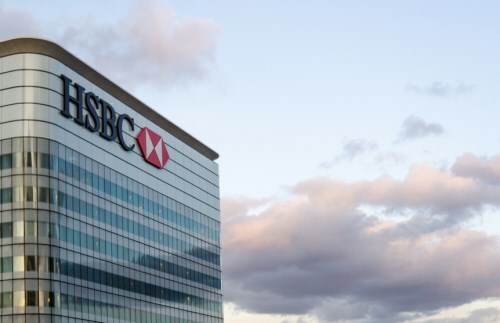 HSBC’s announcement Monday that it has completed a trade finance transaction using blockchain, the tech on which cryptocurrencies operate, means that the technology is commercially viable the banking group says. Bloomberg reports that the ‘live’ end-to-end trade between a buyer and seller and their respective banks was completed on a single shared digital platform. Meanwhile, Payments Canada, the Bank of Canada, TMX Group and Accenture have demonstrated that the instantaneous clearing and settlement of securities on-ledger is feasible, showing for the first time that both central bank cash and assets can be tokenized to complete an instant, end-to-end equity settlement on distributed ledger technology (DLT). "This proof of concept shows that it is possible to deliver payments in a way that has never been done before – by directly swapping cash from buyers to sellers, resulting in instant settlements," said Gerry Gaetz, President and CEO of Payments Canada. "We continue to see how the application of distributed ledger technology can help extend the vision of payments innovation in Canada and potentially, one day, help promote financial market integration, both nationally and internationally." Project Jasper is a collaboration between the Canadian partners; and Jasper III is currently the only proof of concept that maintains privacy for market participants and their transactions by giving only the parties involved in specific transactions the ability to view the transaction history, without providing the same visibility to other participants on-ledger. "We have witnessed an impressive achievement and an important financial technology milestone for Canadian capital markets with the successful transaction of tokenized securities and cash in their basic forms," said John Lee, managing director, Enterprise Innovation & Product Development, TMX Group. "Many complex challenges remain as we move ahead, but we look forward to the crucial collaborative work necessary to effect substantive, transformative change in global markets." Is it time to sharpen your EQ edge?